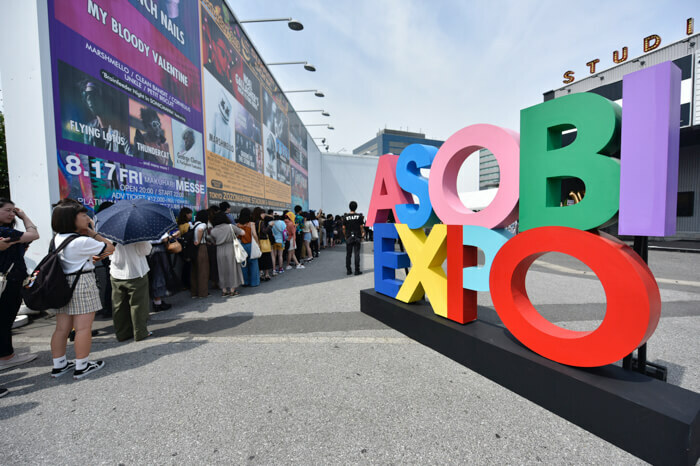 An army of Japanese pop culture leaders signed to ASOBISYSTEM attended ASOBIEXPO at Shinkiba STUDIO COAST on July 21, 2018 to celebrate the company’s 10th anniversary, including Kyary Pamyu Pamyu, Yasutaka Nakata, Sebastian Masuda and more. Close to 100 music artists, models, DJs and others attended the festival, which was split into two slots: ASOBIFES!!! was a free invitation-only concert and show event, and ASOBINITE!!! was a club event which was attended by some of Japan’s representative artists. Beginning the show was none other than MANON, ASOBISYSTEM’s 16-year-old leader of the new generation of youth. She captivated the crowd with her soft and relaxed rapping and edgy lyrics with tracks like xxFANCYPOOLxx and COCO BOI ROMANCE. Next to hit the stage was 4-member pop dance and vocal group TEMPURA KIDZ. They rolled out a string of infectious pop tunes that made you want to dance and gave a performance so foot-stomping you’d think it was the climax of the event already. A number of guests and dancers joined them on stage from Tamura in Fukushima Prefecture where TEMPURA KIDZ held workshops as part of a project to revitalise the region. Sashaying onto the stage next was a list of models signed to ASOBISYSTEM for a special fashion show. The first theme was ‘urban mood’ which saw names like Shiho Takechi and Rinko Murata take over the runway. The second theme was ‘Tokyo Street Vintage Mix’ where Saki Shibata, Yuri Suganuma and others walked the walk. After the fashion show, it was to change things up. Natsume Mito stepped onto stage followed by 6 others. 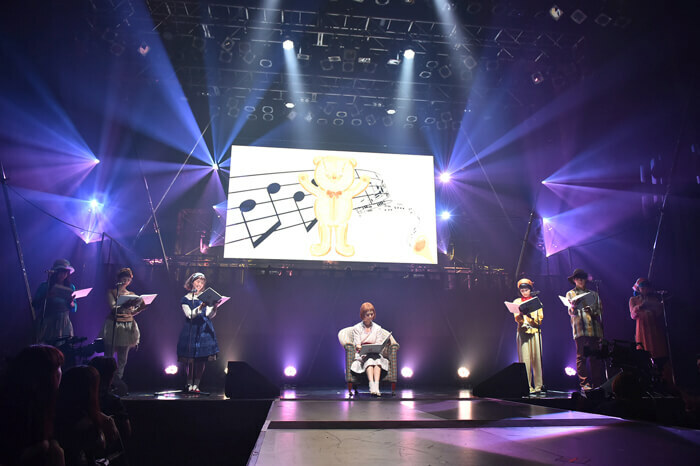 They read aloud the children’s picture book Mumu written by Natsume Mito herself which was accompanied with acting, music and lighting to bring the story to life. After the performance she announced a sequel to the book, Mumu ~Shima-chan no Otanjoubi~. 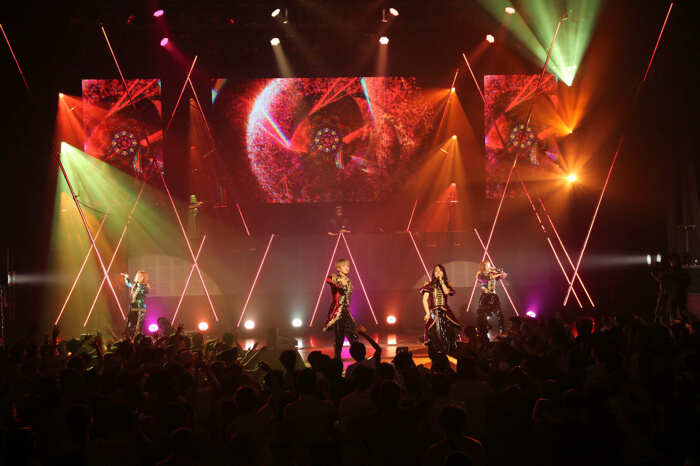 Things changed up again when Atarashii Gakkou no Leaders came on to fire everybody up again. They gave an electrifying vocal and dance performance during the Showa-style number Koi Shadanki feat. H ZETTRIO. The members also spoke about their recollections with ASOBISYSTEM and said, “Congratulations on 10 years! Let’s keep working hard together!” They then performed Saishuu Jinrui. Their set was full of love for ASOBISYSTEM. Now it was time to pull the big guns out. CAPSULE graced the stage, opening with Another World to get people pumped before hitting them with MORE MORE MORE, JUMPER and Hero. The crowd were pulled into the CAPSULE galaxy with the on-screen space visuals and giant mirror ball overhead for Starry Sky. 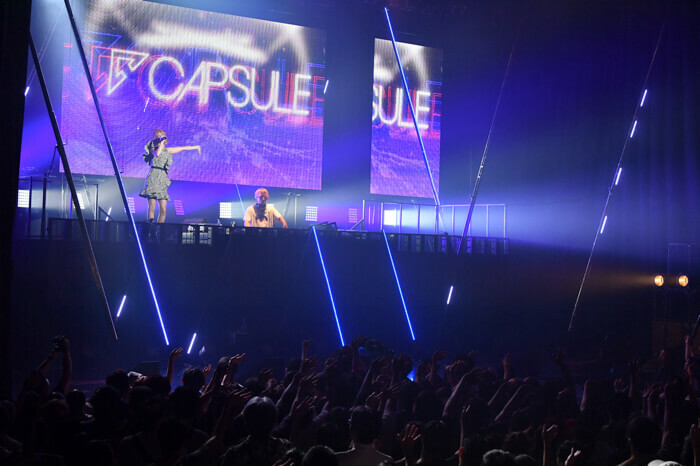 CAPSULE vocalist Koshijima shouted out softly, “Thank you for today! Congratulations on 10 years, ASOBISYSTEM. Have fun until the very end!” Their set concluded with a fantastic groove that shot the crowd into the stratosphere. The final act of the night, and ASOBISYSTEM’s representative artist, was of course Kyary Pamyu Pamyu. As the audience waited with smiles on their faces, four dancers dressed in black appeared to the tune of KPP On Stage. 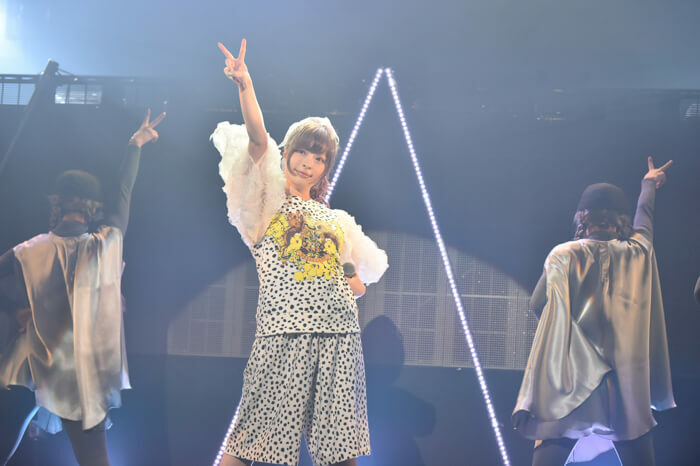 Kyary subsequently stepped out wearing a rough outfit―something much different to what she usually wears―to perform her hit tune Invader Invader. Kyary performed her mature-sounding hit Kimino Mikata before wrapping up the first slot of the festival, ASOBIFES!! !, with Harajuku Iyahoi. The room was left with a festive, feel-good atmosphere and bright lighting. It was then time for the party – ASOBISYSTEM’s flagship event ASOBINITE!!! 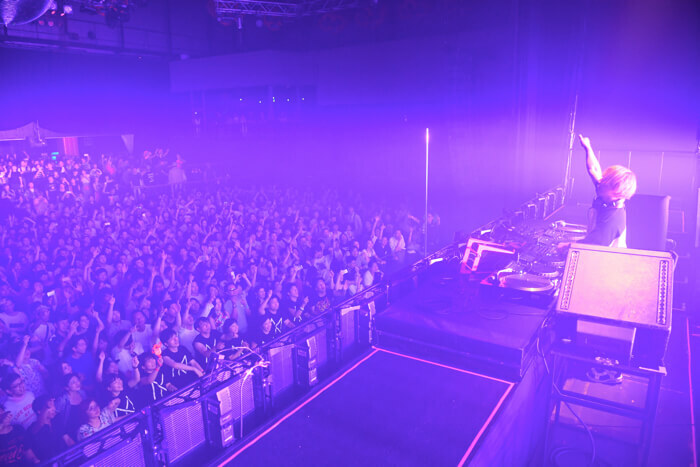 A whole host of ASOBISYSTEM artists graced the stage including RAM RIDER, 80KIDZ, TeddyLoid, DJ KYOKO, Licaxxx, not to mention Yasutaka Nakata, amongst others. 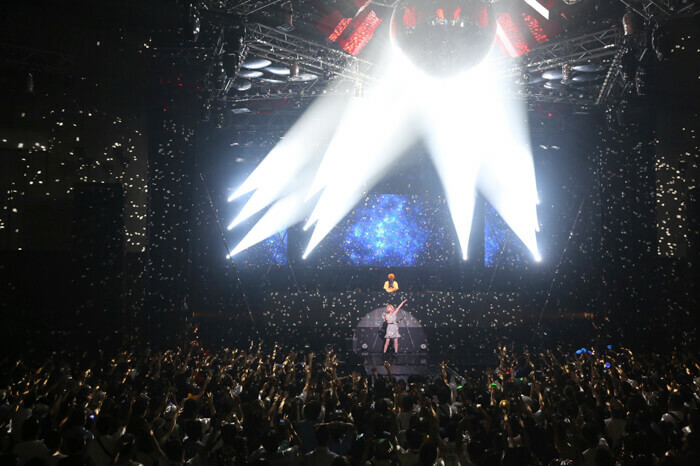 A line-up of guests also joined the event including SHINICHI OSAWA (MONDO GROSSO), TOMOYUKI TANAKA (FPM), ☆Taku Takahashi (m-flo, block.fm), DAISHI DANCE, and banvox. Everybody worked to cement ASOBISYSTEM’s 10th anniversary into history. ASOBIEXPO was an entire day of Japanese pop culture. ASOBISYSTEM continue to seek working as the architects of next-generation culture and will advance onto the world stage. This is the feeling that was left in the venue on this memorable day.